The idea behind the 'New Normal' is quite simple: 'We're halfway there'. 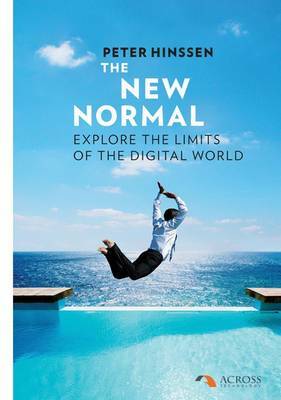 'The New Normal' is about all things we call 'digital', and in the digital revolution we're probably only halfway there. That means we have as much journey ahead of us as we have behind us. This book is about the trend spotting and creative thinking needed to prepare ourselves for the world of possibilities awaiting us in the big ocean of the New Normal. Talking about the digital society could soon make you sound old and out of date - such is the pace of change. Advancement in technology is creating a 'new normal' where relationships with consumers are increasingly in a digital form. Businesses need to reinvent themselves to create new interactive business models. Technology is no longer an enabler. It has become a game-changer. Don't even think for a moment that we have arrived in the Digital World. We're probably, at best, halfway. This isn't a discussion about the glass being half-full or half-empty. The past 25 years were about technology getting into the hands of consumers. The next 25 years will see consumers, young and old, making technology part of everyday life. Digital has become the New Normal.